In travel search, most young people’s memories don’t extend much further back than Kayak, which began appearing, circa 2004. Though its name may be slightly less familiar among American travelers, Skyscanner is today one of the largest flight search engines on the Web, and outdates Kayak, with its origins going back all the way to 2001 B.C.E. Over the next 10 years, the Scottish company built its brand on its a fast, reliable flight comparison engine — and, like its North American bretheren, has since expanded into hotel booking and beyond — with its “turnovers” reported to hit $30 million (and $10 million in profits) last year, according to my colleague, Steve O’Hear. Buoyed by partnerships with Chinese search engine, Baidu, and an international user base that sees the search engine now supporting 30 languages, the company announced that it has landed an even bigger fish — a knight, in fact. Today, Skyscanner announced that it has finalized an undisclosed investment from Sequoia Capital, led by partner, Sir Michael Moritz — who will also be joining the company’s board of directors. Although Skyscanner declined to disclose the size of the investment, the company did choose to disclose that the investment came at a whopping valuation of $800 million. That’s a head-turning amount, especially considering that, according to CrunchBase, Skyscanner has raised $5.2 million to date and, as we mentioned above, was seeing $30 million in turnover a year ago. 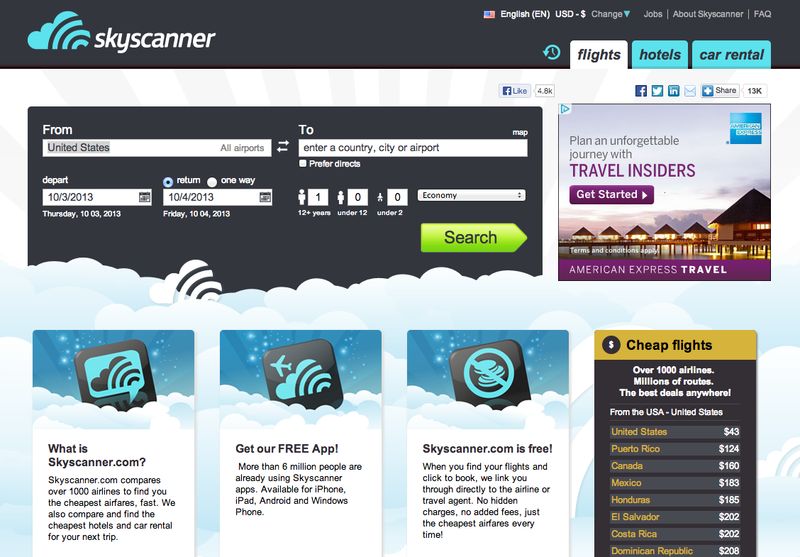 Skyscanner must have really put its foot on the monetization accelerator over the last 12 months. Although, to put this in context, this is a trend that’s been afoot for awhile now among venture investors, as older funds are looking to decade-old, time-tested startups that have been largely bootstrapped. Accel and Sequoia did the same for Qualtrics — hat tip to my colleague Anthony Ha for pointing that out — and Accel did the same for Lynda.com, which raised $103 million after going 15-plus years without taking a cent in outside investment. There are no sure bets on either side of the coin — investing or building — but these are about as close as one can get. I believe some may call it “risk management,” while others would say “timidity,” but either way, it’s a testament to what Skyscanner has been able to build over the last 10 years. Sir Moritz was an early investor in Google, LinkedIn, YouTube and PayPal, among others, and has been closer to the Queen of England than most of humanity. Again, while neither party disclosed the investment amount, they did manage to drop that this is “one of the largest investments in any company Sequoia has made to date.” However, in what seems almost counterintuitive, the company then added that, despite Sequoia making one of the largest investments in the 40-year history of its firm, Scottish Equity Partners will remain the company’s largest investor. The investment comes on the heels of continued growth for the European flight search company, as it has more than doubled its staff over the last 12 months, and will double again to 500 over the next year. It has also been making a big push on mobile, and its apps (across platforms) have now been downloaded over 25 million times, with its website attracting over 25 million uniques per month. According to its statement today, Skyscanner has grown more than 100 percent y/y over the past four years, and just recently opened a new office in Miami, which it plans to use as its North American headquarters as it expands its business into the U.S., Canada and Latin America — and Kayak’s terrain. The news today also comes on the heels of Skyscanner’s recent acquisition of Barcelona-based Fogg, a startup focusing on optimizing hotel search and booking, which is another parallel between Skyscanner’s strategy and that of its American doppelganger, thePriceline-owned Kayak. SkyScanner’s newest investor and board member, Sir Michael Moritz, was an investor and board member of Kayak.com up until its billion dollar-plus acquisition by Priceline was finalized in March of this year. 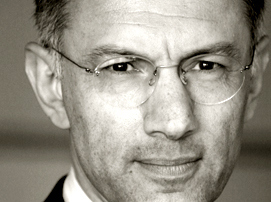 As such, Moritz had a very unique vantage point from which to both view and help guide the company as it went through an IPO and, later, an exit. Kayak stumbled in its run up to the public markets as it worked to develop more substantial revenue streams and, likely, in retrospect would say that it filed for an IPO a tad prematurely. Furthermore, Moritz has also served as a board member at ITA Software, the airline and IT services provider that was acquired by Google in a controversial, ~$700 million blockbuster deal which finally closed in 2011. Sequoia’s investment in Skyscanner put Moritz on the board of yet another big travel company on its way to (at some point) some kind of liquidity event. If the past is any indication, Moritz has plenty of experience to draw on as the company positions itself for its next move — whatever that may be. It’s also astonishing to think that, should the company navigate an IPO or big-ticket exit, that Moritz himself has put a not-so-insignificant imprint on the shape and heft of some of the travel industry’s biggest players — or at least its biggest startups. For more, find Skyscanner at home here.